Work deadlines, to-do lists, family commitments, pressure to perform... Our frantic lives demand so much from us that we can often feel locked into a cycle of frustration, anxiety and stress, unable to tackle the tasks before us or see a way out of our habitual ways of thinking and doing things. Yet there is a way out. 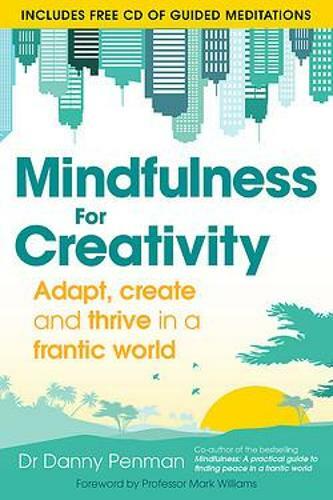 The simple mindfulness techniques at the heart of this book have been proven to enhance creativity, problem solving and decision making. They also dissolve anxiety, stress and depression while enhancing mental resilience. The four week programme takes just 10-20 minutes per day. The easy-to-follow programme works by soothing and clearing your mind, allowing innovative ideas to take form and crystallise. This helps you to spontaneously 'see' the solution to a problem, to conjure up new ideas, or to create works with true insight and flair. The programme also helps build the courage necessary for you to follow your ideas wherever they should lead - and the resilience to cope with any setbacks. It will help your mind work more effectively so that you can solve problems faster, more intuitively and have the inner confidence to drive your ideas forward.